Allen's Meat Wagon Game Cart is an easy way to haul your largest of harvests with ease. With a solid steel frame that will hold up season after season and heavy-duty anti-puncture wheels, all you need to do is unfold it, load it up, and head back to the truck. 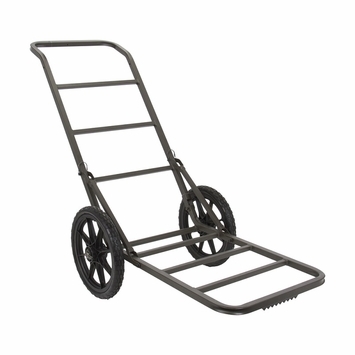 The wide handle is comfortable to tow, and the design allows you to angle the cart so it's easy to pull, no matter your height. Includes adjustable shoulder straps for portability and tie-down straps to secure your game.